In 1947, just outside of Corona, New Mexico, on a hot July day, a flying saucer crash lands in the desert. The government immediately sends in the military and has the alien craft and its crew transported to an airbase in Roswell. Four of the five alien voyagers are dead, the fifth, a huge, gelatinous creature, becomes the sole focus of their investigation. Leading in the study is C.I.A. officer Celeste Gains. By accident she creates both a mental and physical bond with the alien who refers to itself as Sslits. For the next fifty years it will be the entire purpose of her existence. Her mission is twofold. First to keep you him out of the public eye and second, prevent unscrupulous government agencies from exploiting Slits amazing abilities. Among these is nullifying the aging process for her. At ninety, Celeste doesn’t look older than her mid thirties. When a second Slits arrives on earth, its sole purpose, to locate and destroy the first, Celeste is faced with her greatest challenge yet. Veteran writer Michael Vance offers up both a fresh and frightening look at a “first encounter” unlike anything ever imagined. 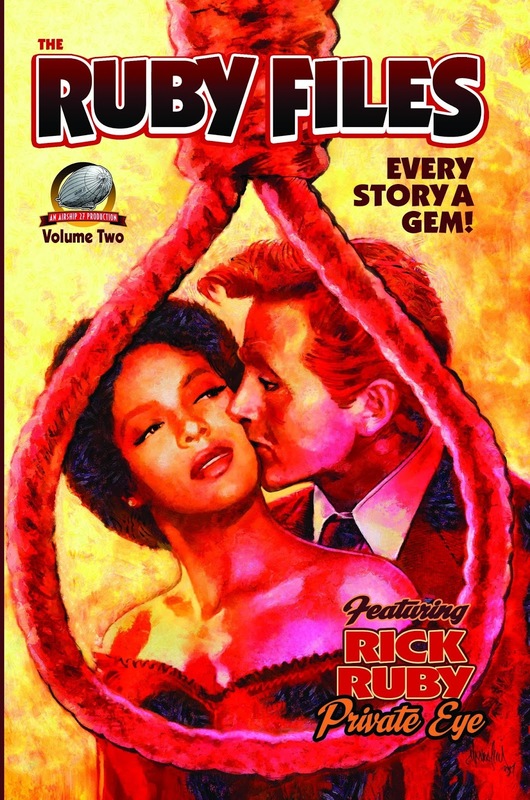 Joining Vance is artist Gary Kato who provides the books interior illustrations and Art Director Rob Davis completes the package with an eerie cover by Canadian Ted Hammond thus offering up another classic Airship 27 pulp thriller. 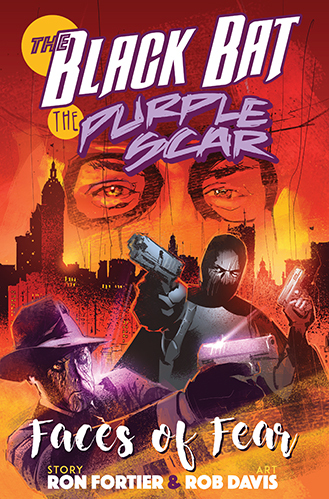 When dead gangsters begin appearing all over New York, the Black Bat and his team find themselves on the trail of a merciless crime boss known as Mr. Mask. At the same time a strange vigilante known as the Purple Scar enters fray, but is he friend or foe? Will even the pairing of the Black Bat and this mysterious new crime-fighter be able to solve the mystery of the Faces of Fear? Moonstone Books presents FACES OF FEAR, story by Ron Fortier, illustrations by Rob Davis.